Seafood has long been a highlight of Saigon’s culinary offerings, but they’re more present on the street scene than in upscale establishments. 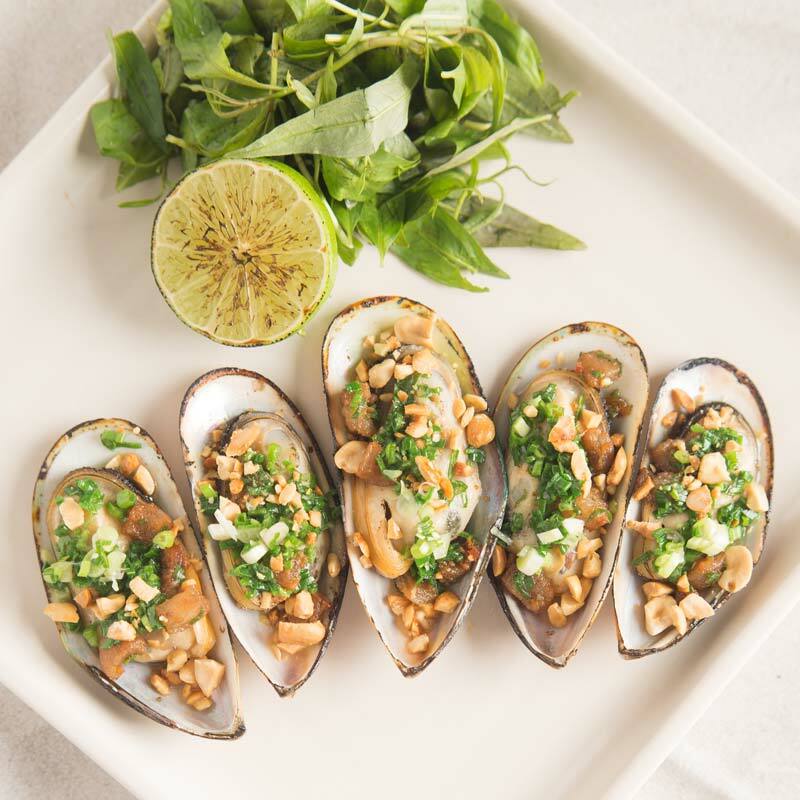 The new two-storey YO’S restaurant in District 1 is seeking to bring Ho Chi Minh City’s seafood to a luxurious setting paired with a sumptuous menu to enjoy the tastes of the ocean to the fullest. With a prime location on Nguyen Binh Khiem street, in the center of District 1, the restaurant’s impressive facade sets it apart from the surroundings. With all-white walls, large curved windows and a roof that looks like waves over a green Mediterranean-style garden, the inviting look makes you feel as if you just walked into a palace under the sea. The restaurant continues the same white theme inside, and every inch of YO’S restaurant looks flawless. The dome-shaped dining rooms, the minimalist black and white tile floors, the Scandinavian furniture, the detailed murals of sea creatures and the potted plants lining the walls, under the light of the elegant chandeliers, all are perfectly harmonious and dreamlike. 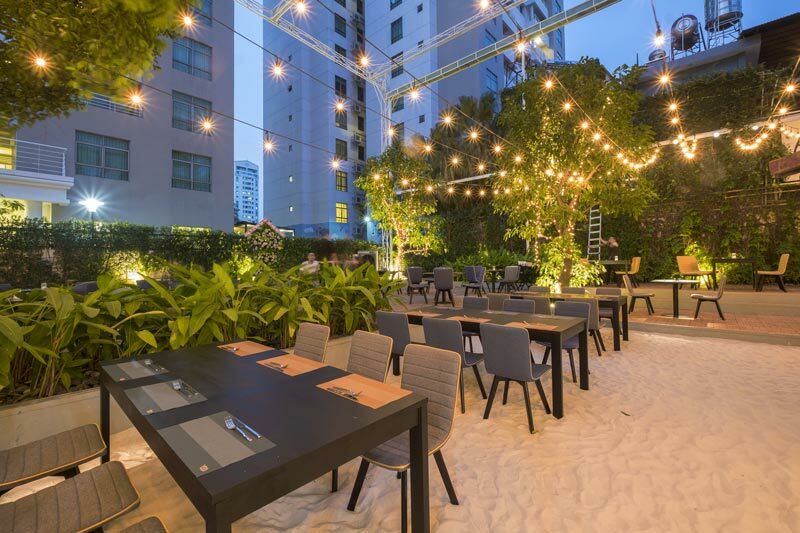 Apart from the spacious two-floor building with three private dining rooms on the second floor, YO’S restaurant also has an outdoor dining area amongst a large garden. 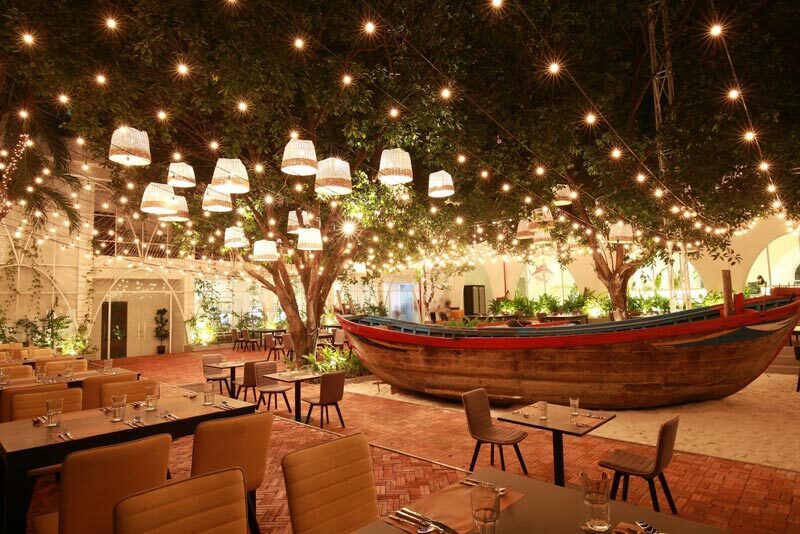 You will be surprised to find an entire wooden boat lying on a white sand beach in the middle of the garden. The surrounding furniture is arranged in different styles, whether single tables for couples or large tables for family dinners and group parties. All can have their own space to enjoy a good time together under the warm twinkle lights and woven lanterns. 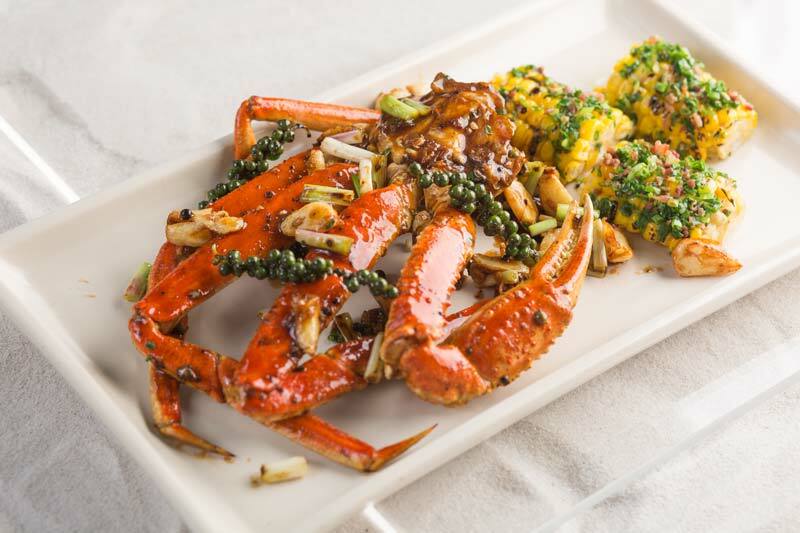 Specialising in Asian cuisine, with the expertise of its experienced and talented chefs, YO’S restaurant presents familiar seafood dishes in their own ways, and brings pleasant surprises to discerning diners. For starters, don’t miss the deep fried baby shrimp salad, a novel dish using a common ingredient from the paddy fields, the baby shrimp, which Vietnamese people often cook at home with a little oil and salt. There are also popular staples such as sweet and sour seafood salad and deep fried prawn spring rolls. The stars of the show are definitely lobsters and crawfish imported from Canadian shores. Go for the subtle Louisiana style boiled crawfish, or steamed lobster with spicy sauce and grilled lobster with garlic butter for mouthwatering delicacy. The spicy steamed lobster is a real Asian treat, with lemongrass, lime leaves and chili combined with the rich and sweet taste of lobster, perfect for sharing with your loved ones. YO’S selection of signature dishes is the steamed cod with truffle. The soft white fish steaming with the aroma of truffle and soy sauce leaves a naturally sweet taste in your mouth. Bet you can’t have just one bite. It’s not a seafood restaurant in Saigon without snails, and YO’S restaurant is no exception. The steamed babylon snail done in Thai style is a must-try, as is the steamed stuffed snail with lemongrass. Grilled cockles, scallops or mussels with scallion oil surely won’t disappoint either. The wide variety of seafood dishes at YO’S restaurant will satisfy any and all avid seafood lovers. Besides, it also serves many types of drinks and cocktails such as the moscow mule, caipirinha, and jägerbomb. Come for the lovely decor and stay for the fresh, delicious seafood and relaxing ambience at YO’S restaurant. YO’S restaurant is just a five minute walk from the city’s zoo.